Throughout the month of April, Gallery on Main’s “Artist of the Month” series features an exhibition of paintings by NJ-based artist Jan ten Broeke, who is known and recognized by his simple nom de brosse (brush name), Ten. 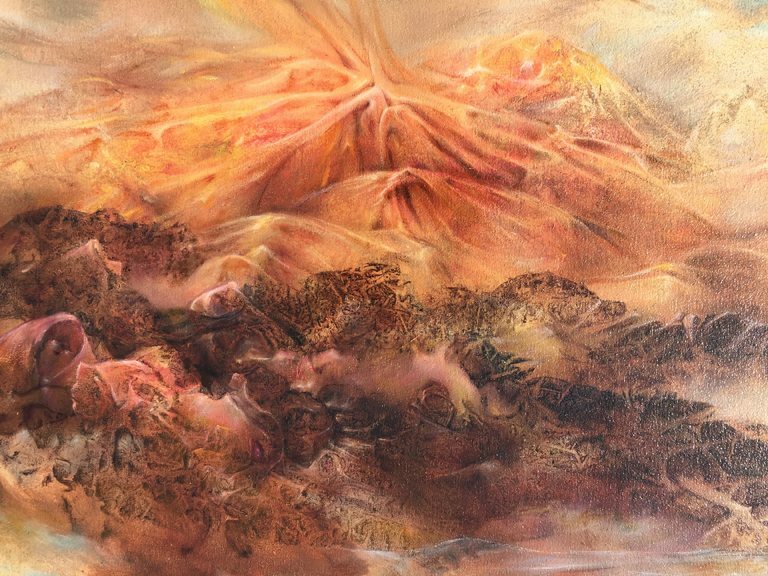 Meet the artist at a free opening reception on Saturday, April 6, 2019 from 5:00 to 7:00 p.m. Says Ten, “I have always been interested in exploring the scientific miracles of the natural universe, especially within the fragile biosphere that envelops Earth. The paintings of the last decade draw inspiration from nature—including biological, geological, and astronomical phenomena—and anthropological and prehistoric artifacts. My work does not represent any reality as we see it, but attempts to demonstrate the experience of the forces essential to the continuity of life on Earth.” Gallery on Main is open Sundays 11:00 AM–5:00 PM; Mondays through Fridays 10:00 AM–6:00 PM; Saturdays 10:00 AM–5:00 PM; and by appointment. (Closed on Easter Sunday, April 21.) To learn more, visit www.GalleryOnMainSt.com, call 908-722-4234 or follow facebook.com/GalleryOnMainSomerville.